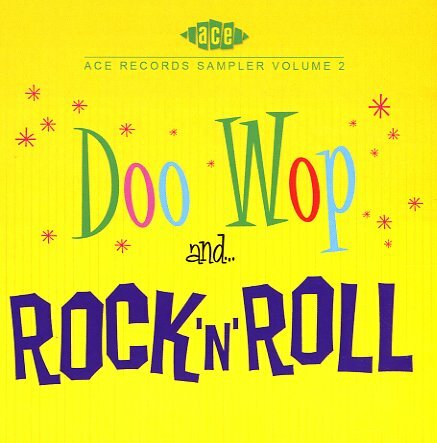 Not your usual set of oldies – because in the hands of Ace Records, "rock n roll" and "doo wop" become completely new terms! The package goes way beyond simple hits and famous numbers – and offers up a great batch of unusual tunes from the less-known end of the musical spectrum during the big rock n roll years of the late 50s – forgotten numbers from both R&B singers and rockers, often served up in styles that are a fair bit rawer than material making the charts at the time. Titles include "That's Show Biz" by Dale Wright & The Wright Guys, "Rock Everybody" by The Teen Queens, "Let's Rock N Roll" by The Cadets, "Wild Bird" by The Jive-A-Tones, "59 Volvo" by Vernon Green & The Medallions, "Shortnin Bread Rock" by Etta Jones, "We're Gonna Rock N Roll" by Joe Houston, "The Rock A Round" by Paul Peek, "Cold Heart" by The Penguins, "You Cheated" by The Slades, and "Honey Love" by The Jayos. 20 tracks in all! © 1996-2019, Dusty Groove, Inc.